Instant Download of Stress Gone! Book (PDF), 5x videos AND 5x audios (as per Gold Package) PLUS 2x BONUS videos and audios, PLUS 3 hours of 1-on-1 consultations via Skype. Audio 1: Stress Gone! Introduction (18 minutes) In this audio you’ll discover interesting, educational facts about stress, all of which are designed to create awareness, increase understanding and empower. Multiple stress relief tips are also shared. Audio 2: How Stress Defines Our Lives (21 minutes) We are all products of our history and our environment, and this shapes how we typically react to stress. This Audio includes an understanding the subconscious mind with respect to our habits, behaviours, emotions etc, including the effects of one’s birth and early developmental years. I also share deeply personal examples from my own life too, and how I coped (or didn’t cope) well with my stress as a child and young adult. What is your stress coping mechanism? What stress haven’t you acknowledged, or dealt with? Lastly, I share how best to use my Stress Gone! book, especially the audio component shared in my book. Audio 3: Stress, A Silent Killer (14:30 minutes) Why is stress known as a silent killer? Understanding when, how and why the body’s stress response is triggered. This includes the typical fight/flight/freeze response, and relationship to anger. I also explain how stress hijacks our ability to think clearly and rationally, including destroying relationships and limiting careers. Finally, I discuss the effects of stress on comfort eating, weight loss, immune system, acidity, nutrition, illness and disease etc. Audio 4: Stress, A Dream Stealer (16 minutes) Why is stress a “dream stealer”? How stress impacts goals, creativity and focus while adding to procrastination. Multiple tips on how to achieve your desired goals while bypassing stress, and using the subconscious mind. 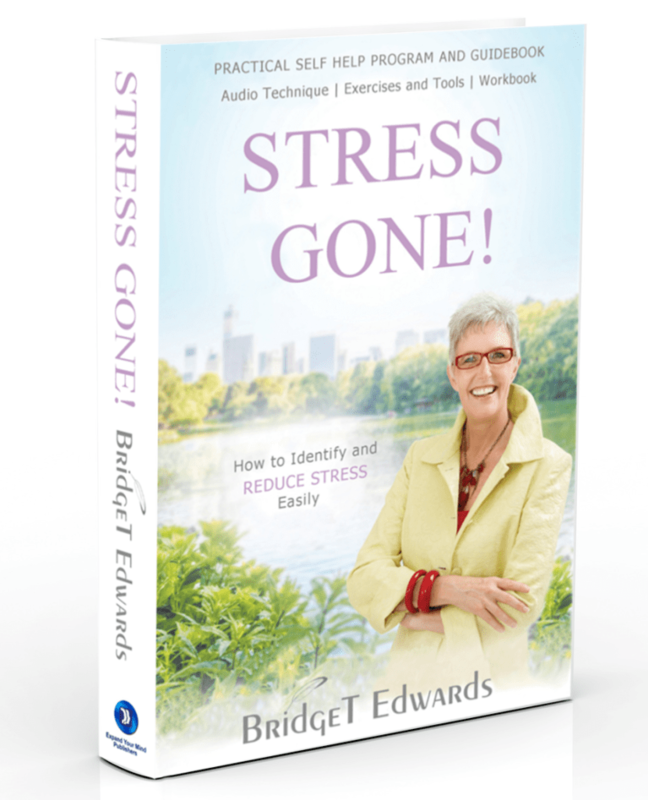 How to “work with” your stress, AND make FULL use of the audio component shared in Stress Gone! book. Finally, the positive aspects of stress, and how to use this knowledge to your advantage. Audio 5: Four Stress Relief Exercises (21 minutes) Demonstration of four simple BUT highly effective stress relief exercises that can be used anywhere, everywhere, and by anyone. This includes explanations as to how and why these exercises work so very effectively, including understanding how incredible the body’s innate wisdom actually is. Ways in which to use these stress relief exercises for maximum benefit of your health and well being. Lastly, how best to use my Stress Gone! book for your ultimate success. Video 1: Stress Gone! Introduction (18 minutes) In this Video you’ll discover interesting, educational facts about stress, all of which are designed to create awareness, increase understanding and empower. Multiple stress relief tips are also shared. Video 2: How Stress Defines Our Lives (21 minutes) We are all products of our history and our environment, and this shapes how we typically react to stress. This Video includes an understanding the subconscious mind with respect to our habits, behaviours, emotions etc, including the effects of one’s birth and early developmental years. I also share deeply personal examples from my own life too, and how I coped (or didn’t cope) well with my stress as a child and young adult. What is your stress coping mechanism? What stress haven’t you acknowledged, or dealt with? Lastly, I share how best to use my Stress Gone! book, especially the Video component shared in my book. Video 3: Stress, A Silent Killer (14:30 minutes) Why is stress known as a silent killer? Understanding when, how and why the body’s stress response is triggered. This includes the typical fight/flight/freeze response, and relationship to anger. I also explain how stress hijacks our ability to think clearly and rationally, including destroying relationships and limiting careers. Finally, I discuss the effects of stress on comfort eating, weight loss, immune system, acidity, nutrition, illness and disease etc. Video 4: Stress, A Dream Stealer (16 minutes) Why is stress a “dream stealer”? How stress impacts goals, creativity and focus while adding to procrastination. Multiple tips on how to achieve your desired goals while bypassing stress, and using the subconscious mind. How to “work with” your stress, AND make FULL use of the Video component shared in Stress Gone! book. Finally, the positive aspects of stress, and how to use this knowledge to your advantage. Video 5: Four Stress Relief Exercises (21 minutes) Demonstration of four simple BUT highly effective stress relief exercises that can be used anywhere, everywhere, and by anyone. This includes explanations as to how and why these exercises work so very effectively, including understanding how incredible the body’s innate wisdom actually is. Ways in which to use these stress relief exercises for maximum benefit of your health and well being. Lastly, how best to use my Stress Gone! book for your ultimate success. Bonus video #1 – Stress, Parenting Tips (22 minutes) Parents, in this video I share tips on how to reduce your daily stress at home. Including tips on how to improve and develop great family relationships, especially with your children. What stress responses and behaviours are you subtly teaching your children? Enjoy these simple yet profound tips to ensure your children feel heard, loved, safe, secure and supported. You’ll enjoy multiple added benefits as a result too. Bonus video #2 – Stress Tips for Children ( minutes) Understanding how and why your child/children may react to stress the way the do – this includes their typical behavioural, emotional, physical and mental symptoms they may display. Also, understanding the impact your stress, as a parent, may have on your child. Tips are shared on how to handle your stress so the impact on your child is significantly reduced. “Enabling others through love and true connection” is the motto by which Bridget strives to live her life. 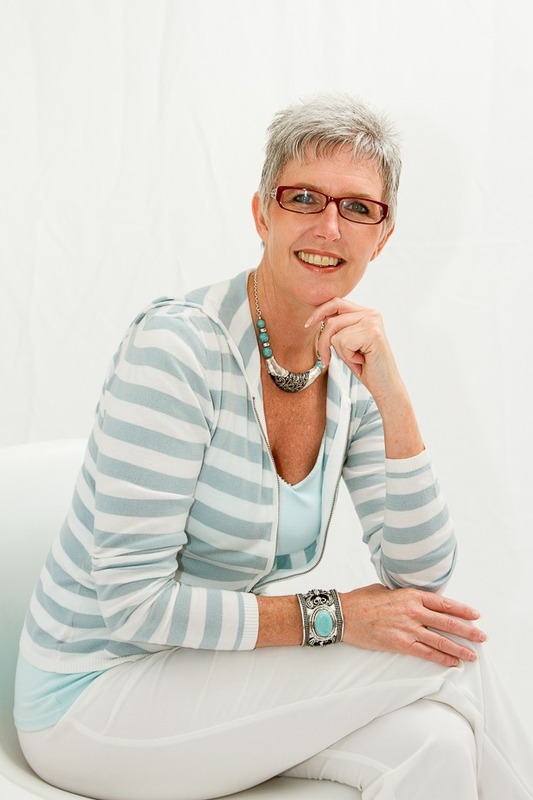 This naturally translates into how Bridget conducts consultations – she really cares about achieving a desired outcome and positive transformation for clients. Her ultimate wish for clients is to enable and empower them to live a better quality lifestyle, free of burdens, distress and pain. Transformational consultation can include overcoming any kind of distress, emotional pain or personal challenge, such as: anger, stress, depression, grief and loss, fears and phobias, anxiety and panic attacks, trauma and relationship issues. Initial consultations are 2 hours, and conducted online via Skype. The one hour follow up is strongly advised, and this will be schedule at a convenient date and time thereafter.